Soy, Hormones and Vitamines: A friend or a foe? Soy is a complicated and thorny kind of food. Not for cooking, but for understanding its pros and cons. The dispute about its benefits and harms has not yet been resolved. Someone considers it is a perfect product, while the others refuse soy as food at all, like a poison. How to puzzle it out? Soy is highly valued due to the high percentage of proteins - 40%. The structure of these proteins, as well as nutritional value are as good as animal proteins. Soy protein is essential for vegans and people with allergies to animal protein and lactose intolerance. The most commonly soy products are used in Japan and China, where people do not drink cow milk. 50 grams of soy contain more than half of the daily protein intake for an adult. This is equaled to about 680 grams of tofu cheese or 8 glasses of soy milk. In addition to protein, soybeans contain 20% fat and 20% carbohydrates, 10% water, 5% fiber and 5% ash. And in the last component there is the same component that causes the debate around soy - isoflavonoids, or phytoestrogens. Some scientists believe that the use of phytoestrogens, which slow down the recovery of brain cells, can lead to impaired brain blood circulation and the progression of Alzheimer's disease. However, such studies have repeatedly been criticized and even refuted by other studies that have proven the use of soybeans the cognitive abilities of the elderly. However, the presence of plant hormone-like substances suggests that soy cannot be consumed by children, pregnant and lactating women, as well as by people with endocrinological diseases. At the same time, phytoestrogens can prevent breast cancer. Soy isoflavone genistein inhibits the growth of blood vessels and enzymes that support tumor growth, and the constant use of soy leads to a lengthening of the menstrual cycle and decreases the risk of breast cancer. Soy alleviates the symptoms of menopause, such as osteoporosis and hot flashes. Research in this area is controversial: scientists from different places come to different conclusions. Maybe they are just exploring different kinds of soybeans? Furthermore, the area is extremely important for soy cultivation: beans, like a sponge, can absorb heavy metals from the soil. 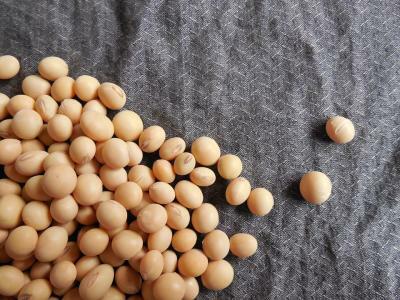 Pay attention to origin of soybeans you eat, and If you like it and do not have contraindications, do not give up on it. The composition of soybean oil includes components that are close to fish lipids, lecithin, choline, vitamins B and E, macro- and microelements necessary for human body. Lecithin is involved in the metabolism of fats and cholesterol. It has a lipotropic effect, helps slow down the process of accumulation of fats in the liver and leads to their burning, reduces the synthesis of cholesterol, controls the proper metabolism and absorption of fats, has a choleretic effect. Soy products contain phytic acid. They also have proteases - enzymes that are responsible for the breakdown of proteins. Soybean has a radioprotective effect due to its ability to bind and excrete radionuclides and heavy metal ions from the body. So, moderate consumption of soybeans (150-200g per day) is safe and beneficial for all healthy people. In this case, we must not forget about the balance of the menu. Especially you should pay attention to products containing iodine, zinc, iron and calcium, as soy can interfere with the absorption of these trace elements. Such properties are not soy only, so do not be afraid. And eating vitamin products never hurts - especially in spring, when our bodies need them the most. Chewy gluten free chocolate chip cookies.